Find out what enablement offerings are relevant to your goals with the visual and interactive guidance provided by Learning Journeys. Get guidance on new implementations, as well as training new users and expanding skill sets for existing applications, with our five-step framework. Browse our Web shop to discover the latest course availability, find training locations nearest you, search course codes, or focus on a specific training path. 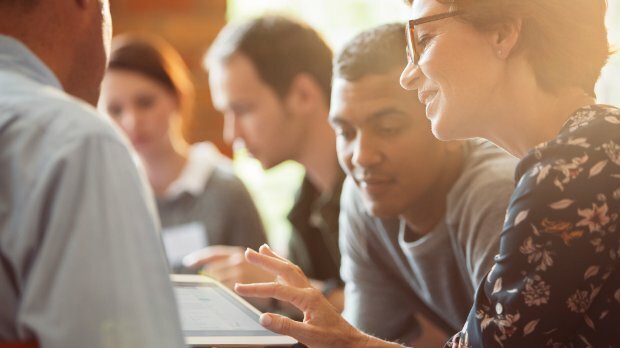 Gain instant, cloud-based access to a wide variety of SAP learning content and online learning rooms, with a range of options to fit your business needs. Validate your expertise using SAP solutions and ensure you meet the requirements for new roles and responsibilities by completing SAP certifications. Enjoy a flexible, fun, and engaging learning experience through gamification and train when, where, and how you want – free of charge – with openSAP. 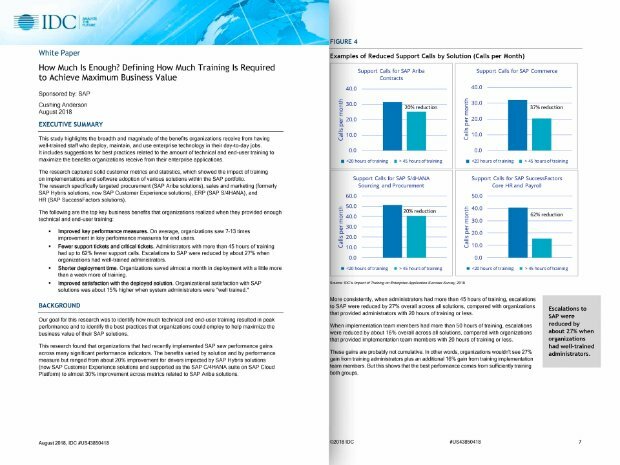 Understand the breadth and magnitude of the benefits organizations receive from having well-trained staff who deploy, maintain, and use enterprise technology in their day-to-day jobs. Inspire a culture of continuous learning with solutions ranging from in-application guidance and e-learning to professional development and succession planning. Collect real-time data directly from users’ desktops to identify exactly where problems lie, so you can determine and implement the most effective solution. Reach software training goals faster with help from experts who assess your educational needs, create a strategic training plan, and provide direct assistance. Optimize your studying with a Learning Journey interactive guide that shows a recommended path to become fully competent with an SAP innovation. 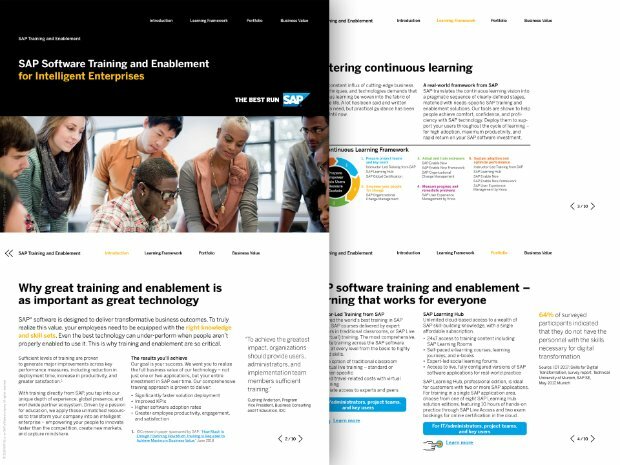 Search over 200 registered SAP Education partners who can help you understand your unique training requirements and develop a customized training plan. Join a global network of educational institutions and use learning resources about SAP solutions to help students gain the skills needed for the digital future. Access a purpose-driven community enabling companies, partners, and universities to connect and innovate with objectives linked to United Nations Global Goals. Discover how car manufacturer Mercedes-Benz Türk optimized the training of its 280-strong team with individual learning plans. Learn how software provider House of HR uses powerful performance support to help people get up and running with its solutions.